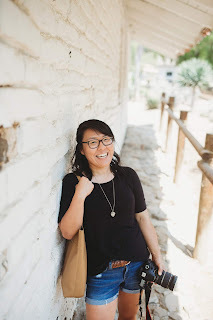 So I've been trying to teach myself how to DIY blog design ever since I saw the amazing makeover on Young House Love. Seriously, it looks so good. And John does it without professional help. Impressive, eh? Anyway, I just wanted to post about little changes I've made around here. So first off, look to the right. See those cute social media icons? I made them in Picnik (which is free!). These guys blend in so much better with my grey + white color scheme, don't you think? Now look up. See the new page labeled series? That's a place for you to find all the series I write on a weekly basis (as of now. aka before school has started). While you're looking up there, you should check out the new about me section. I've updated it with a little more info on me, why I started this blog, and other great stuff. And I want to give credit to Clothed Much for all their great blogging tips. Did you see the new photo of me on the right side as well? I just learned how to link it so now you can click on it and it'll (hopefully) bring you straight to the about me section as well. I've also played around with the gadgets and placed a few at the bottom of the blog page. I'm doing a little test run with them located there to see if it makes the blog a little less crowded at the top. And after looking for fresh new blogs to stalk read, I've also added a few new blogs to my blog love section. Now scroll down to the bottom of this post (or any post, for the matter). Yep, I've installed the LinkWithin widget. At first, I was a little skeptical being the paranoid person I am. I probably asked myself (and my sister) "is it legit? is it safe? will people come and hack me now?" a bazillion times. but seeing it on so many other blogs was reassuring enough for me to install it anyway. And for some reason, telling you to look to right reminds me of Jessie J's Price Tag. Don't ask me why. Especially because I just heard the song in its entirety today.